It is often said that admitting a problem exists is the first step in solving it. This sentiment is certainly true in settings of substance use disorders and other mental health concerns. Illnesses like these come from within — they have no cure the way that other physical diseases might. The only way to heal from substance abuse or a mental health disorder is by making a choice to acknowledge the problem and to learn the best ways to manage it throughout your life. If you are in the difficult position of watching a loved one struggle with substance abuse or battle a mental health disorder, you likely want to do everything in your power to help. But when that person isn’t able to see or admit that they need help, attempts at offering your assistance may make them pull even further away. In situations like these, an intervention by a group of close friends or family may be your best option. An intervention is a meeting organized by the loved ones of someone in need of treatment for addiction or mental health concerns. The purpose is to help the struggling person see that their actions or their resistance to treatment have effects beyond themselves. Ideally, the emotions and experiences expressed during an intervention will help the person understand that they need to seek treatment for their illness. The most important factor in an intervention is to make sure it does not become a confrontational or argumentative experience. The point of an intervention is to initiate discussions about addiction or mental health, not to make the person at the center feel blamed or in any way threatened. The best way to ensure that an intervention goes well is by enlisting the help of an interventionist or intervention services like we offer at Anchored Recovery. 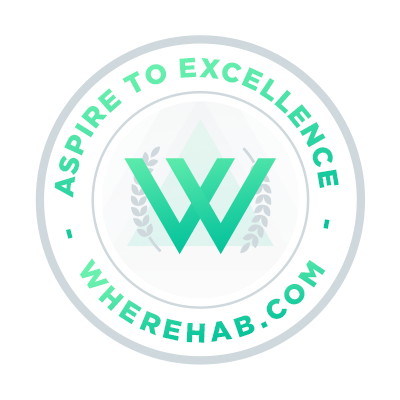 When you choose to work with us or a similar service in your area, you will have a professional to guide you through the intervention process from start to finish. For example, you can meet with them a few times before the intervention to talk about best practices such as who to invite, what to discuss and how to keep the conversation on track. They may also be able to accompany you to the intervention to serve as a moderator and steer the discussion productively. And, they can help you come up with a plan for treatment suggestions after a successful intervention. If your friend or family member is exhibiting any of these behaviors, it might be time to talk to an intervention professional. Contact Anchored Recovery for more information about intervention services in Orange County and Southern California. Interventions are not appropriate for everyone. If your loved one is amenable to discussing treatment or is already considering treatment, an intervention is not likely necessary and may even be counterproductive. Additionally, interventions are typically highly emotionally charged events. If your loved one is in a particularly fragile state or is prone to violent outbursts, you should talk to a professional about whether an intervention would be safe or helpful at this point or whether there are other options. If you or someone close to you is abusing drugs or alcohol or struggling with a different mental health disorder, don’t hesitate to contact Anchored Recovery. We provide high-quality recovery treatment in San Juan Capistrano, California, in the heart of beautiful Orange County. Our services include assistance and guidance for every step of the treatment process from detox to outpatient care. Find out more about our programs and learn if they might be right for you — reach out to our compassionate and knowledgeable admissions team today by calling 800-272-4550.